Being in the Long Island and New York region of the world, it is a big plus when we have vehicles that feature all-wheel-drive. It is even better when that all-wheel-drive system is a Mercedes-Benz 4MATIC® all-wheel-drive system! 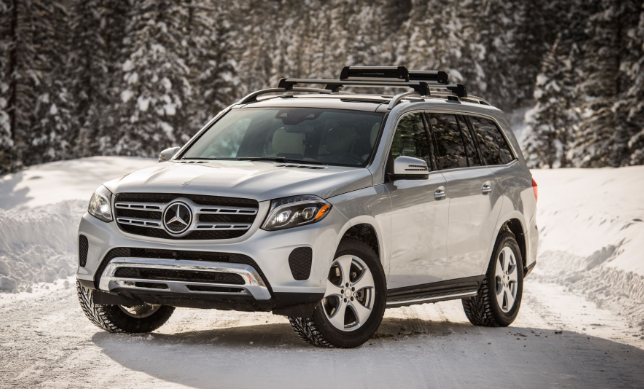 If you are in the market for a new Mercedes-Benz SUV, it is important to take into consideration the winter season will be here before we all know it! Therefore, we have compiled some details about our four top SUVs, the Mercedes-Benz GLS, Mercedes-Benz GLE, Mercedes-Benz GLC, and Mercedes-Benz GLA. 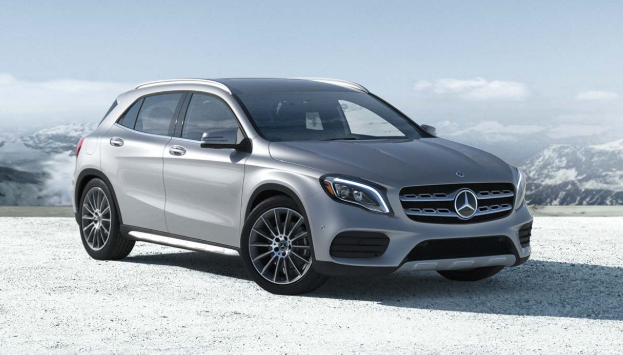 The Mercedes-Benz GLA is Mercedes-Benz’s entry-level SUV with the lowest starting price. However, this does not mean that you sacrifice all the amazing benefits of a Mercedes-Benz. Taut, trim and muscular, the GLA is big on style from its iconic grille to its LED taillamps. Chrome and aluminum add elegant accents from bumpers to roof. This Mercedes-Benz SUV also packs a lot of surprises that Huntington drivers will love. It boasts a cabin that’s generous with legroom, headroom and luxury – only the best standards for a Mercedes-Benz vehicle. The GLA is avaliable in two different models with 4MATIC® all-wheel-drive, the GLA 250 4MATIC®, as well as the AMG® GLA 45 with AMG® Performance 4MATIC® all-wheel drive. Check out our new Mercedes-Benz GLA models for sale at Mercedes-Benz of Huntington. The Mercedes-Benz GLC SUV will delight you in all ways possible. This all-wheel-drive SUV features a muscular body that is smooth and sleek, and ready to take on the Huntington, Commack, and Northport roads ahead of it! Inside the vehicle you’ll find comfort and luxury is standard. In this SUV, there is something for everyone to enjoy, and all of the materials, stitching, and flowing shapes of the cabin come together to provide an exceptionally enjoyable driving space. In the GLC, you have all the performance and benefits of a sport-sedan, with the demeanor of an SUV. The GLC is avaliable in a few different models to choose from with 4MATIC® all-wheel-drive. There is the GLC 300 4MATIC® SUV, GLC 350e 4MATIC®, as well as the AMG® GLC 43 and AMG® GLC 63 which have AMG® Performance 4MATIC® all-wheel drive. Check out our new Mercedes-Benz GLC SUVs for sale in Huntington, New York! The GLE truly is the gift that has been given. Previously known as the Mercedes-Benz ML, the GLE holds a rich legacy of Mercedes-Benz SUVs in it’s bloodline and continues to be a trendsetter for SUVs of all brands. The premium SUV that invented its class over 20 years ago still leads the way in every arena of driving, and from every angle of its design. From its iconic Star to its sleek LED taillamps, the the GLE keeps the future looking brighter. If you have an eye for design, all eyes will be on you. The athleticism of the GLE is evident in its solid stance. Wheels range from substantial 19-inch designs to supersized 20-inch AMG® alloys. AMG® Line Exterior and Interior packages express its spirit, while a Night Package takes it to the dark side. It is definitely an SUV that is destined to please. The GLE is avaliable as the GLE 400 4MATIC® SUV, as well as the AMG® GLE 43, AMG® GLE 63, and AMG® GLE 63 S for those looking for upgraded performance. The AMG® SUVs also feature AMG® Performance 4MATIC® all-wheel-drive! Take a look at our Mercedes-Benz GLE inventory near Dix Hills! For those that are looking for the most roomiest SUV of the lineup, the GLS is the way to go. With spacious seating for 7 passengers, everyone can go for a drive around the Cold Spring Harbor area with you! This SUV is equipped to set the bar in any and all ways – holding a high legacy of leadership stemming back to the S-Class. This SUV is eager to lead your and your family to wherever you have to go in style, comfort, and safety. Interested in the Mercedes-Benz GLS? This vehicle is offered as the GLS 450 4MATIC®, GLS 550 4MATIC®, and the AMG® GLS 63 with AMG® Performance 4MATIC® all-wheel drive. And we have many Mercedes-Benz GLS SUVs for sale at Mercedes-Benz of Huntington! 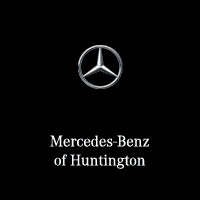 We would love to have the opportunity to help any and all Huntington drivers get into the Mercedes-Benz SUV of their dreams! Give us a call at 855-777-9693 for more information on our 4MATIC® SUVs, or come to our showroom anytime located at 1103 E. Jericho Turnpike, Huntington, NY 11743. 0 comment(s) so far on The Best 4MATIC® SUVs from Mercedes-Benz for the Winter Season!